Dinnerstein's performance in Cuba followed the release of Broadway-Lafayette, an album of piano concertos. Classical pianist Simone Dinnerstein is just back from Havana, where she performed with Cuba's National Youth Orchestra. She is also working with young people back in her hometown, New York. One of her goals? To introduce students to the composer she's best known for performing — Johann Sebastian Bach. She's taking digital pianos into public schools in a program she calls "Bach-packing." Morning Edition host David Greene spoke to Dinnerstein about her trip, her methods for teaching kids about Baroque music, and her past four difficult years, which culminated in her most recent album, Broadway-Lafayette, including concertos by Ravel and American composer Philip Lasser and Gershwin's Rhapsody in Blue. 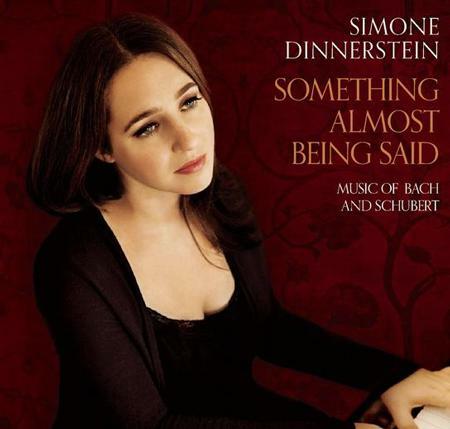 Simone Dinnerstein: I was very surprised. You know, you go to Cuba, and it feels like, for me it feels like going to this secret world that existed all this time, but you didn't really know what was going on. Certainly, in terms of classical music, you don't really associate classical music with Cuba. It turns out that they're really being beautifully trained there, and it was a real joy to play Mozart with them. The people in the orchestra were ages, I think, 15 to 25, and they just played so beautifully. They were really listening, and they're playing on really poor quality instruments. Actually, it's kind of fascinating — they can't afford to buy strings regularly for the string instruments, so they tune their instruments very low so that the strings won't break, which is really bizarre. We're used to the A being a certain pitch here, being A440, and there it's A336 to preserve the strings. David Greene: I don't know much about this, but if you're higher, you're using tighter strings and there's a better chance of breaking — is that right? Right. And also, some of the violinists there were using telephone wires as their E strings because they couldn't afford E strings. It's incredible. That's amazing. That makes you appreciate the sound that they were creating even more. I know. It's really amazing, and I wish I could just buy them a whole lot of strings and send them over there. 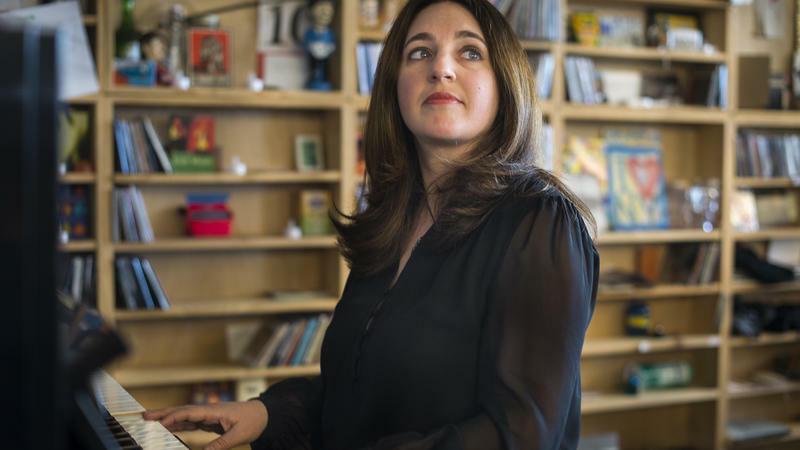 Dinnerstein wants to train kids in New York to listen, "especially how to listen for multiple voices at the same time, which is something that hardly exists in popular music," she says. Greene: What does that mean in classical music? Dinnerstein: Well, in a very basic way, if I was to play a Bach two-part invention, my right hand is what I call one voice — it has one sort of song, one line, one melody that it's playing. The left hand has another voice that is being played, and there's this interaction and a kind of dialogue between those two hands or those two voices, as we call them. I'll have two children come up to the piano, sitting next to each other, and I'll give them just a few notes to work with. I'll have one of them play a pattern, just make up a pattern, and then the other child has to imitate that pattern. Dinnerstein: Well, actually, the past four years my husband and I really wanted to have another child. That's quite complicated to do, because I'm away about half of each month. Unfortunately, we went through lots of difficulties trying to make this happen, and did the whole going to fertility centers and trying that route. I wound up having four miscarriages over the course of three years. Last year, I was supposed to go to Havana, and I had a miscarriage right before I was going to go, and I couldn't go. It's a very, very draining process to go through. It was really very hard to be traveling and playing concerts and dealing with these losses that I had, and I had quite a few concerts I had to cancel that were big concerts — my Paris debut, my Milan debut. Those concerts were never rescheduled. It's made me feel very unwomanly. I have a son, but not being able to have another child made me feel really awful about myself, and it's very hard to get on the stage when you feel like that. Greene: I am so sorry. This sounds like a really tough four years you've been through. Thank you. While I was experiencing all these different pregnancies and this whole process, a very dear friend of mine, the composer Philip Lasser, was writing a piano concerto for me. Oddly, it took him the same amount of time to write the concerto as it took for me to go through all of these different miscarriages. He was creating this piece of music for me, and I was trying to create a child. The name of it is The Circle and the Child. Yes, The Circle and the Child. Which is not about my miscarriages at all, but it is about the cycle of life and innocence and experience and that circularity that happens. I've always thought of my CDs almost as my musical children. You create them very lovingly and carefully and then send them out into the world, and they're a small part of you that go out there. They affect people, and you don't know how. This CD has this concerto on it as well as two other concertos that represent something from this time period, and I think there was something cathartic for me about being able to record them and, you know, bring them to life. Well, Simone Dinnerstein, it has been an absolute pleasure talking to you, and I wish you the best of luck with this CD and for happier times coming soon. 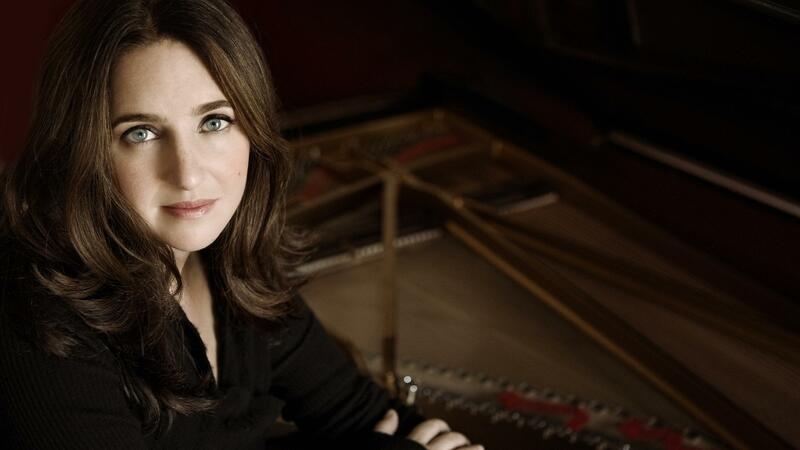 GREENE: ...Played this week by one of the world's most respected concert pianists, Simone Dinnerstein, who has been busy. A few days before Central Park, she was in Havana playing the same concerto with Cuba's National Youth Orchestra. DINNERSTEIN: ...Which is really bizarre. I mean, we're used to the A being a certain pitch here, being A440, and there it's A336 to preserve the strings. DINNERSTEIN: ...Because they couldn't afford E strings. It's really incredible. GREENE: That's amazing. I mean, that makes you appreciate the sounds that they were creating even more. DINNERSTEIN: I know. It's really amazing and I wish I could just, like, buy them a whole lot of strings and send them over there. GREENE: Simone Dinnerstein also works with young people in her home town, New York City. When she stopped by our studios there, she spoke about the composer she's best known for performing - Johann Sebastian Bach. She started a program that she likes to call Bachpacking. She takes digital pianos into public schools and she trains students to listen. DINNERSTEIN: I mean, especially how to listen for multiple voices at the same time, which is something that really hardly exists in popular music. DINNERSTEIN: Well, in a very basic way, if I was to play a Bach two-part invention, my right hand is what I would call one voice. It has one sort of song, one line, one melody that is playing. And then the left hand has another voice that is being played. And there's this interaction and a kind of dialogue between those two hands or those two voices as we call them. DINNERSTEIN: I'll have two children come up to the piano sitting next to each other and I'll give them just a few notes to work with, and I'll have one of them play a pattern - just make up a pattern - and then the other child has to imitate that pattern. GREENE: Often Simone Dinnerstein will invite her Bachpacking students to her performances. But recently she's had trouble maintaining her packed schedule and she shared the reason with us. DINNERSTEIN: Well, actually the past - I would say - four years, my husband and I really wanted to have another child. And that's quite complicated to do because I'm away about half of each month. So, unfortunately, we went through lots of difficulties trying to make this happen. And I wound up having four miscarriages over the past - you know, over the course of three years. And last year, I was supposed to go to Havana and I had a miscarriage right before I was going to go and I couldn't go. It's a very, very draining process to go through. It was really very hard to be traveling and playing concerts and dealing with these losses that I had. And I had quite a few concerts I had to cancel that were big concerts. I mean, my Paris debut and my Milan debut, and those concerts were never rescheduled. It's made me feel very unwomanly. I mean, I have a son, but not being able to have another child made me feel really awful about myself, and it's very hard to get on a stage when you feel like that. DINNERSTEIN: Thank you. Yeah, no, it has been really, really tough. And while I was experiencing all these different pregnancies and this whole process, a very dear friend of mine, the composer Philip Lasser, was writing a piano concerto for me. And oddly it took him the same amount of time to write the concerto as it took for me to go through all of these different miscarriages. He was creating this piece of music for me and I was trying to create a child. GREENE: And this is - the name of it is "The Circle And The Child." DINNERSTEIN: "The Circle And The Child," which is not about my miscarriages at all, but it is about the cycle of life and innocence and experience and that circularity that happens. And I've always thought of my CDs almost as my musical children. You know, you create them very lovingly and carefully and then send them out into the world, and they're a small part of you that go out there and they affect people - you don't know how. So this CD, which has this concerto on it, as well as two other concertos that represent something from this time period, and I think there was something cathartic for me about being able to record them and, you know, bring them to life. GREENE: Well, Simone Dinnerstein, it has been an absolute pleasure talking to you, and I wish you the best of luck with this CD and for, you know, for happier times coming soon. DINNERSTEIN: Thank you very much. GREENE: Thank you so much. GREENE: That was Simone Dinnerstein. Her latest album is called "Broadway-Lafayette." We want to thank member station classical WQXR in New York for that recording we heard earlier from Central Park. This is MORNING EDITION from NPR News. I'm David Greene. And I'm Linda Wertheimer. Transcript provided by NPR, Copyright NPR. 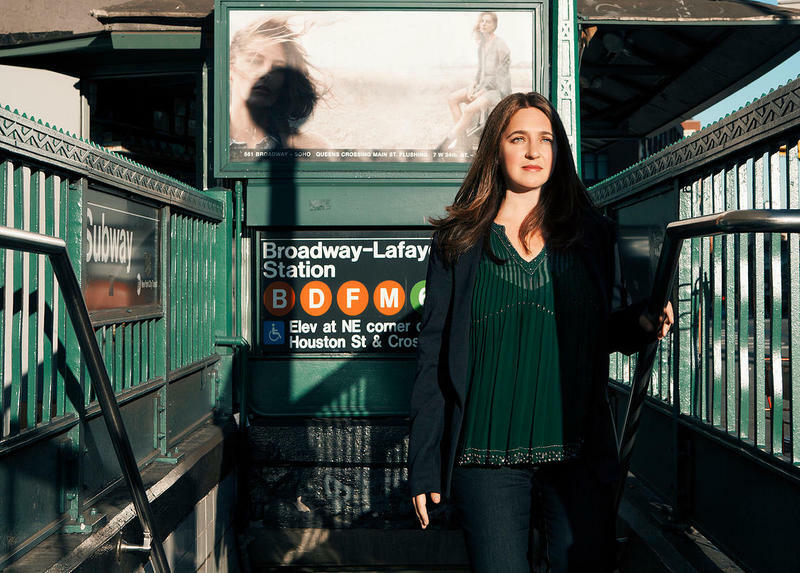 Simone Dinnerstein's latest CD Broadway-Lafayette is named after the subway stop in New York City. But, as Dinnerstein explains in her most recent visit to Crossover, there is an ulterior motive at play in the title - the relationship of America and France, dating back to the American Revolution, when the Marquis de Lafayette helped American colonists send the British back across the Atlantic licking their wounds. And there is yet another undercurrent in the theme of American and French relationships - that of the composers on the recording.